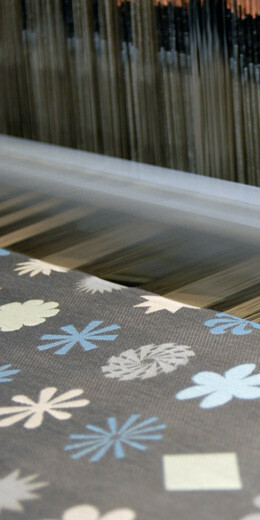 MTL boasts one of the most advanced weaving facilities in North America. Built in 2001 and expanded in 2006 while many domestic weaving operations were shutting down, MTL continues to adopt new strategies for success with continual investment as a cornerstone of MTL’s philosophy. MTL sources the world’s finest yarns, though domestic yarns are employed as much as possible, and utilizes the latest electronic weaving, warping, winding, and dyeing equipment. Coupled with a dedicated and highly skilled workforce, an assurance of high quality is MTL’s hallmark. MTL’s flexibility and diversity are evident via our range of sample warping machines that enable routine sample and short production warps; variable load dye machines for special color development and production; sophisticated wire looms and shearing equipment for unique, unparalleled cut and loop constructions; and designer friendly CAD technology. All this technology joined with MTL’s “can do” attitude offers our customer’s advantages for success. Three commission finishers pick up weekly at MTL and offer a wide range of wet and dry finishes for our customer’s varying needs.